The Russian doth protest a little too much. Russian President Vladmir Putin — who is still denying that he stole New England Patriots owner Robert Kraft's Super Bowl ring — is also willing to do something totally inappropriate and over-the-top, if it'll just get you all to stop talking about it, God, don't you people have lives? 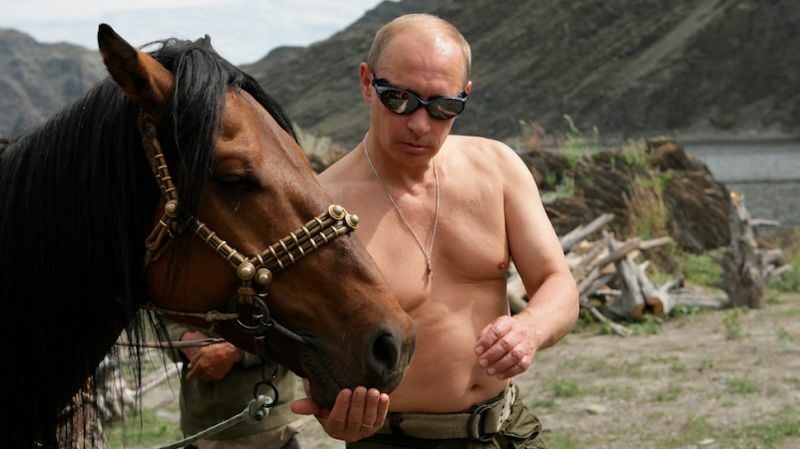 According to Putin, shirtless equestrian and diver extraordinaire, he didn't steal the damn ring, but even if he did, he's perfectly happy to make a replica of it so that Kraft can just get over himself already. “You know, I don’t remember either Mr. Kraft, or the ring,” Putin said, according to Russia’s Interfax news agency, adding that he only remembers some “souvenirs." According to Kraft, Putin tried on the ring — which holds 124 diamonds weighing more than 4.94 karats — during a 2005 meeting. Kraft says the Russian president commented, "I could kill someone with this," pocketed the ring, and walked away. Kraft recently told reporters that although Putin did indeed steal the ring, the Bush White House pressured him to lie and say it was a gift to avoid diplomatic incident.